Then lie comfortably on the massage table, slip under the blanket and relax. 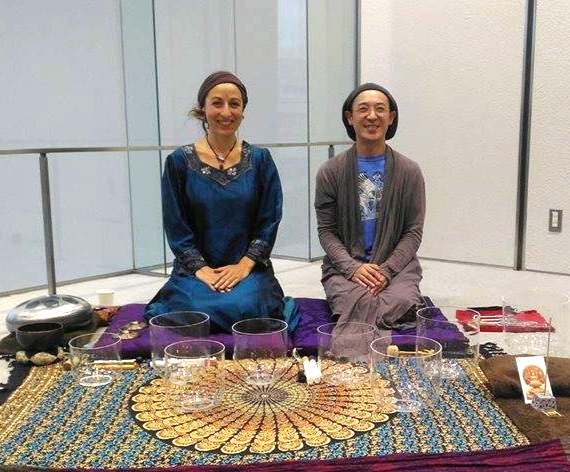 Leiya will gently bring you back to consciousness, then leave you a moment of integration and return to the present space-time. Release of physical and emotional tensions. Energy balancing of the body and soul/energetic body cleansing. Clean your old memory cells olds and recent, and the pains of the soul and the physical body. Deep physical and mental relaxation thanks to the vibrations. It is advisable to drink a lot and rest to help renew your cells, integration into the body and mind. It is generally said that it takes 21 days to integrate a treatment, however we believe that there is no predefined rule as it varies from person to person. Intense relaxation and deep energy cleansing. On demand. See the page “NEWS”, thanks. You can decide to host the concert at home: the nergy and vibratory waves clean the “ki” of your home. Lie down comfortably on the massage table and under the blanket and relax. 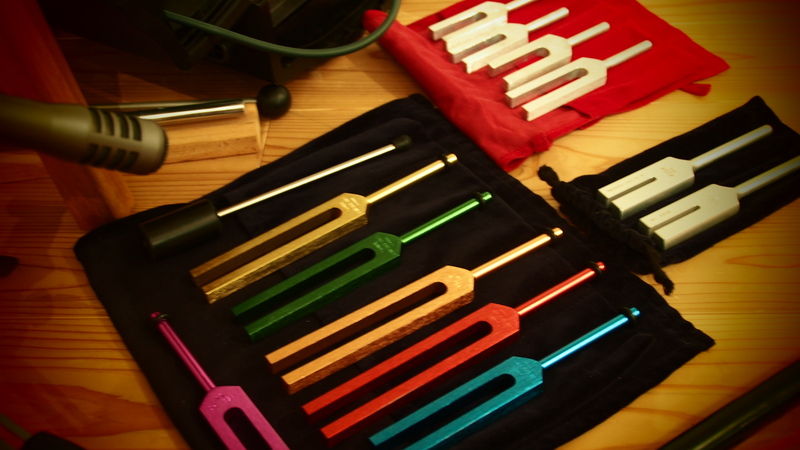 Thanks to tuning forks, your body will come into resonance and the sound will treat what needs to be treated. The sounds of tuning forks act by make vibration your cells, to bring the body to his original balance, that we call symptotermia. It means when the body is functioning well and has his own full self healing abilities. During the session, some area of your body will also be “massaged” using the appropriate tuning forks on acupressure points.